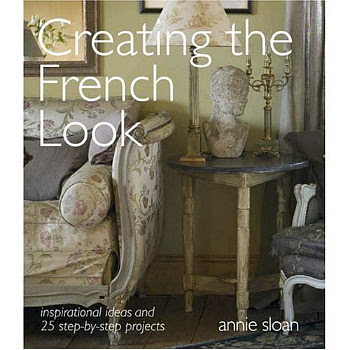 The first time I heard about Annie Sloan's chalk paint was when I bought this book, "Creating the French Look", by Annie Sloan... I was very intrigued by her paint, her colors and the incredibly authentic vintage look they resulted in. Upon doing a little search I realized it was available in England, but I didn't think we could get it in the US... Then comes in Miss Mustard Seed, with her wonderful tutorials, and I was thrilled to find out that the paint was available to us!! I spared no time ordering some and, ever since then, I have used nothing else! The fact that it does not require priming and it distresses beautifully has truly won me over! Fast forward to a a few days before Farm Chicks... 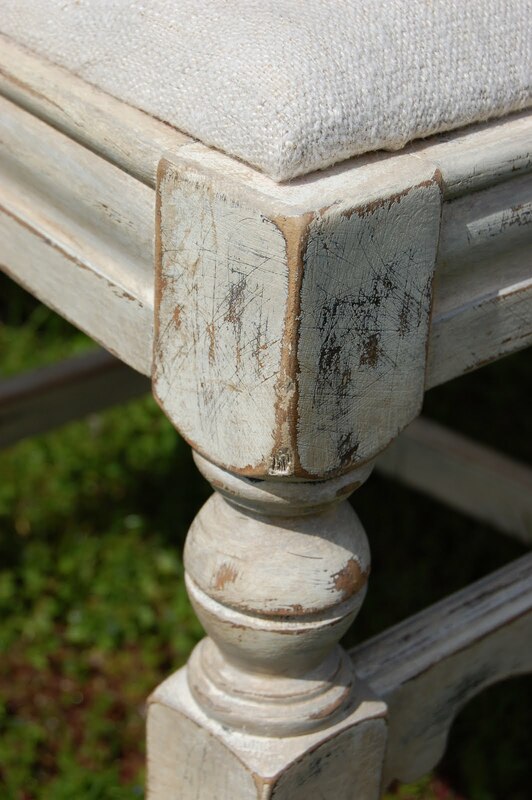 I was in a bind, I needed more old white paint to finish a large project and knew I didn't have time to order... So I searched for a stockist in the Portland (OR) Area and found Phyllis! We talked on the phone, she had just become a stockist for Annie Sloan paint and was still waiting for her paint shipment... But she very graciously offered to give me her own can of barely used Old White paint!!! Talk about a life saver!! Plyllis is getting ready to open a Annie Sloan paint store in the Alphabet District (near the Pearl), but she welcomes orders at any time, since she has stock on hand! She will also be offering classes and workshops on how to use this amazingly versatile paint!! 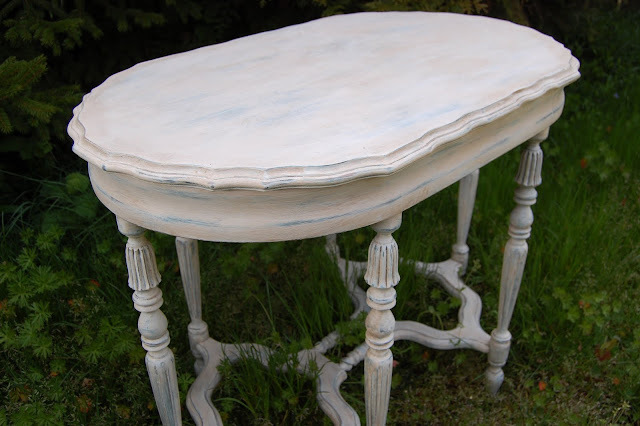 I would love to see your favorite chalk paint projects... Please share!!! This is my first time using a link gadget, I hope it works!!! 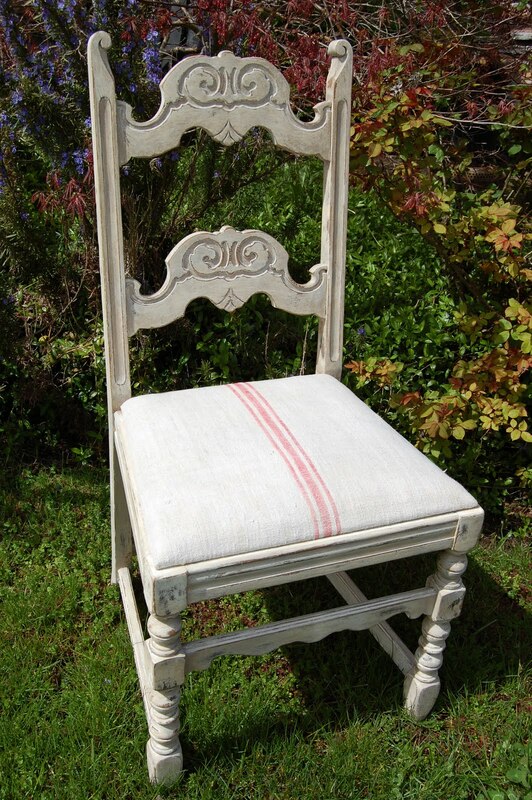 Hi Sweet Friend, I don't have any chalk paint ideas to share,,,,but I'd love to try it! Looks awesome! Hope you have a GREAT weekend! I'll bet you're doing Expo next week! Have a Ball, I SO have to do that one of these days.......well not "DO" the show, but attend! Isabel...thank you so much for this post. Your table looks beautiful! You have the perfect touch for the magic of the paint. I also noticed that you gave the recipe for the incredible "walnut bread" in your previous post. And that was your gift to me. Such a delicious one!! I am not sure who ended up with the better trade. Maybe it was even, but I must say I am still enjoying mine as I put it in the freezer and have been treating myself every so often. I also served it at my first workshop and everyone loved it. Thank you for the tribute to Annie and me and the yummy recipe for the amazing bread. Oh your table looks great! 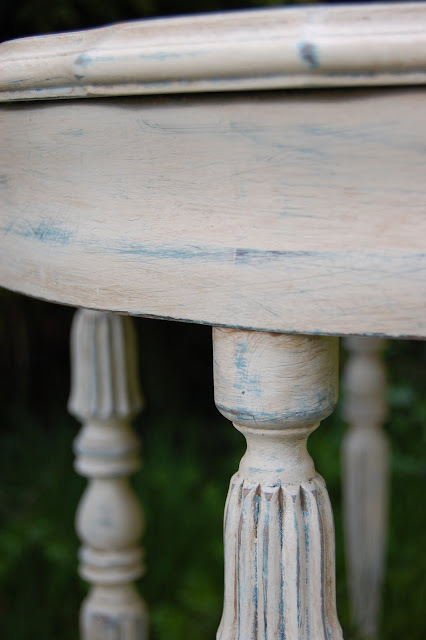 I have not done any chalk paint projects yet but after seeing what you have done I am sure ready to try!! Yay!! I cant wait till you open! I'm from Portland! Love LOVE antiques!! Yeah!! I am so there!! I was just getting ready to order some. Thanks for the info Isabel! Ooooh, Love the lines of that table and the chalk paint was just the perfect finish for it!